In most areas of our lives, if something isn't working right, we try to discover the cause. So if I'm feeling a lot of pressure in my chest and upper torso, I might be moved to consider the reason. In fact, if it's something new and powerful enough, I might want to hurry to the emergency room and make sure it's not a heart attack. One morning last winter, I went to start the car. To my surprise, nothing happened. Since I had recently purchased a new battery, I was puzzled about the cause. I had the car towed to our mechanic. 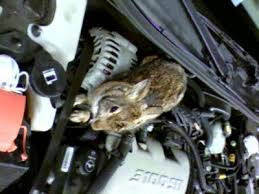 To my surprise, one of our local rabbit population chewed through several wires under the hood. Apparently the manufacturer soaks them in peanut oil to keep them pliable. Sometimes it's easy for us to understand the cause of why people are refugees. They lose their home to a natural disaster. I'm thinking of all those homes burned to the ground by wildfires or flooded by ten to twelve inches of rain in a short period of time. 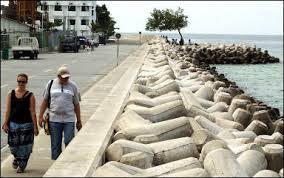 The disaster that was Katrina sent many to temporary or permanent locations all over the country, just as Maria chased so many Puerto Ricans from their homes to the mainland. If we can attribute a disaster and the resulting refugees to an act of God, it is simpler and more acceptable to name the cause. It leaves us free from complicity and guilt. Our hands are clean; no blood there. But then there are those causes we'd just as soon ignore. You would think as a country we would want to understand the cause, the reason, why there are so many people seeking asylum on our southern border. Tens of hundreds of desperate people, risking lives and limbs, even with small infants, to seek asylum in a country miles and months away. Why? Isn't that the way one usually resolves a problem, looking for the origin of the situation and correcting it? Hungary recently passed a law making it illegal to help a refugee. It was aimed at those churches and non-profits that have been aiding refugees from the wars in the Middle East. 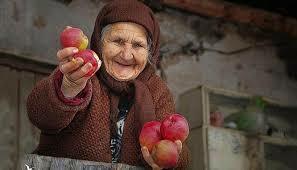 Now if you want to feed, clothe or shelter the homeless, tempest tossed in that land, you risk arrest. There have been similar threats in the U.S. on our southern border. 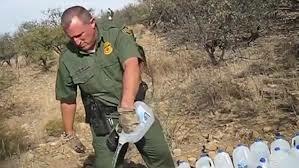 Water left by aid organizations in the desert for thirsty travelers is regularly destroyed by the border patrol. Some seem to prefer dead bodies on the desert floor to live ones they have to detain. Hungary is not the only country in Europe plagued by refugees. Every other country in the European Union has been trying to respond as best they are able without outlawing the helpers. But few are talking about the cause for record numbers of refugees. Do these countries, like the U.S., contribute to the wars that destroy the homes of these desperate people? What are they doing to bring violence to a halt in Syria, in Iraq, in Yemen, in Afghanistan? Do they spend more money on military aid that fuels the conflicts or on peacemaking and peacekeeping? And what about climate refugees? Southern Texas has now experienced three 500 year floods in three years. Island nations that once were home to many for generations are gradually being covered by rising seas. Kiribati dikes will not hold the water back much longer and young people there wonder if we in the U.S. could lower our carbon footprint. There are some causes we would rather ignore. As the only country on the planet to reject the Paris Climate Accord, our government doesn't want to confront the fact we have some responsibility for climate refugees. As the leading purveyor of weaponry in the world, our government prefers to ignore what our weapons are doing in Yemen, or Syria, or Iraq, or Afghanistan. And as the most pervasive military and fossil fuel presence on the globe, we hide our responsibility for authoritarian and corrupt governments, especially in the global south. As long as exploitation on behalf of a consumer society and the 1% is secure, the government feels comfortable hiding the reality of our complicity in producing the world's refugees. Jeb Johnson was interviewed on TV the other evening. 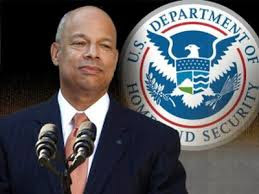 He was a former head of Homeland Security under President Obama. He was asked about the situation on the border with immigrants from El Salvador, Guatemala and Honduras. He rejected the idea of the wall as a politically symbolic but ineffective solution. He suggested we might want to go to the source of the problem, the violence so prevalent in those countries. People are fleeing for their lives and the lives of their children. Much of the violence stems from the drug trade, dependent on users in this country. Why do we have a drug problem? What's that cause? Why do we have an opioid epidemic? Why are the Central American cartels getting rich off American dollars? Why is the suicide rate among 18-34 year olds at epidemic levels? Why are more middle aged, middle class males killing themselves? Why is racism raising its ugly head with new and growing ferocity? Why are we separating families on the border like when we took Indian children to boarding schools and children of slaves to other masters? What is the cause? The simple answer is we have lost our soul. We have set in the seats of government those who say, "me first." That has become the mantra foisted on the country to the exclusion of all "outsiders," including "insiders" of the wrong color. Mexico and Canada be damned. Traditional allies be damned. China be damned. Muslims and their nations be damned. Refugees be damned. 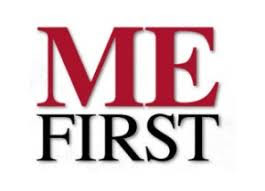 The problem is when we say "me first," and damn all the others, we destroy the foundation of meaning underlying all human life. Relationship is what makes life meaningful. The new neighbor is what makes life interesting. The boredom of self seeking selfishness is a sickness unto death.